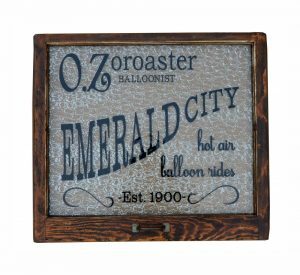 This Oz themed wall art will make a whimsical addition to your home theater or office! 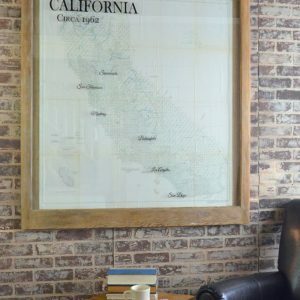 Inspired by the ca. 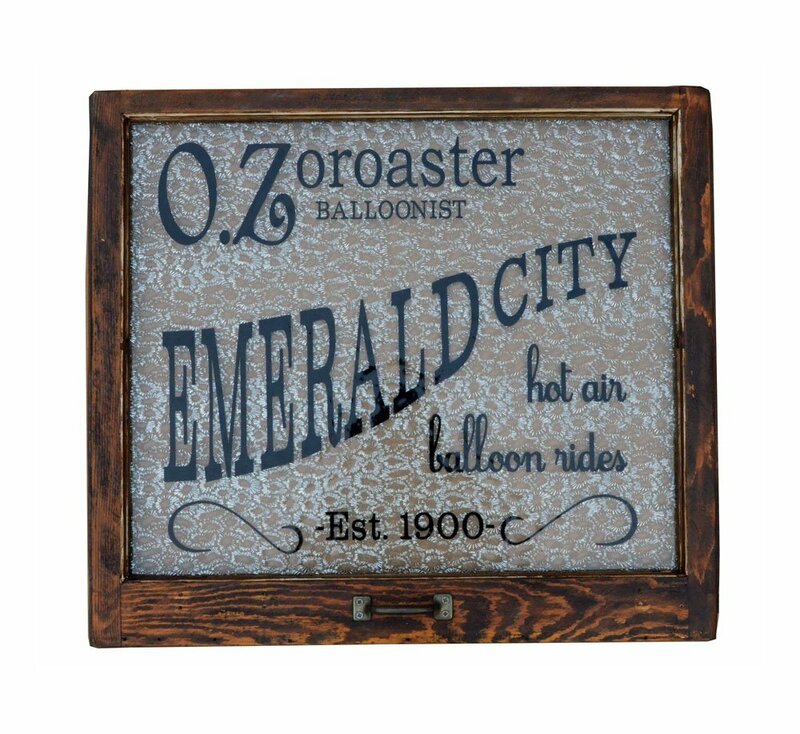 1900 book written by Frank Baum, this window is meant to evoke a small business run by the story’s main character, who once was a balloonist. 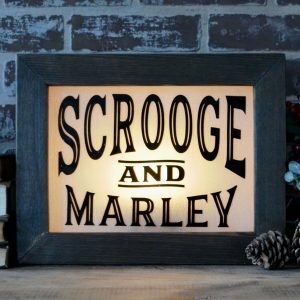 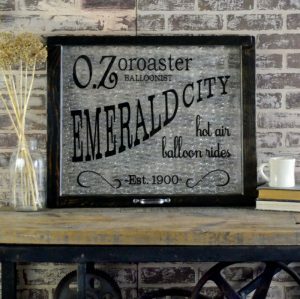 Makes a great gift for Wizard of Oz enthusiasts! 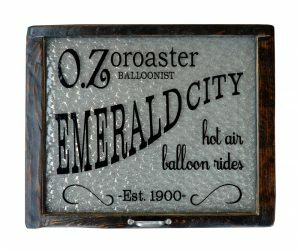 This artwork is made as orders are placed, typical lead time is 2-4 weeks. 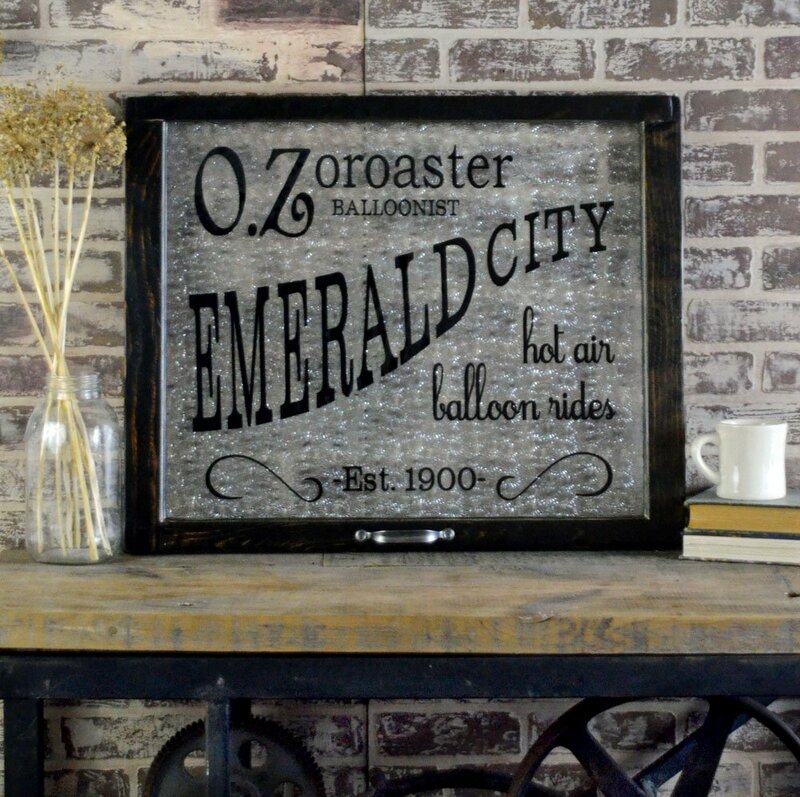 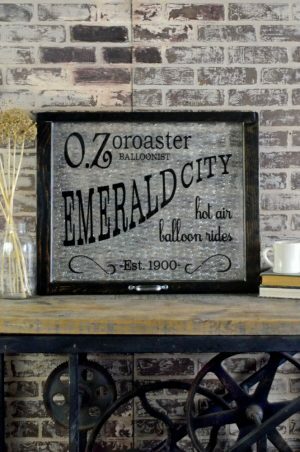 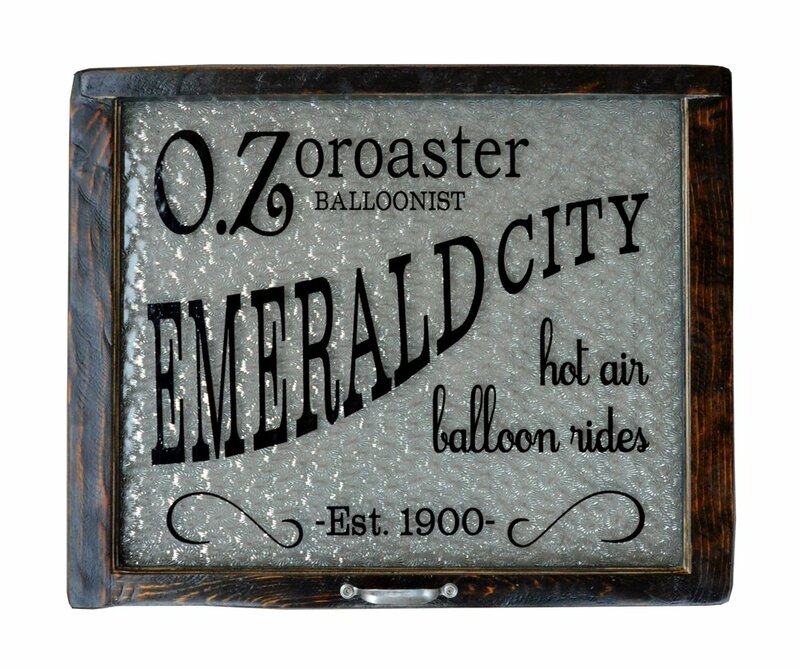 This Oz themed wall art is the perfect home decor item for Wizard of Oz enthusiasts! 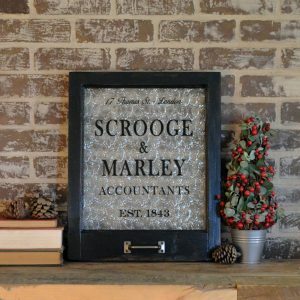 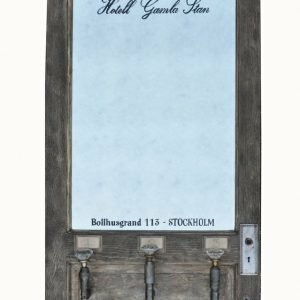 Hand crafted from patterned privacy glass and a vintage window sash, this artwork is meant to evoke a small local business, set in the town where the beloved Wizard of Oz character made his home. 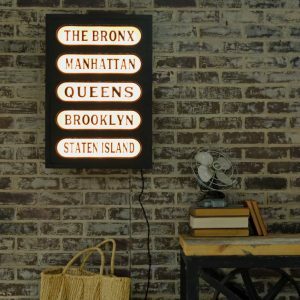 This unique piece of art makes a great accent for a home theater! 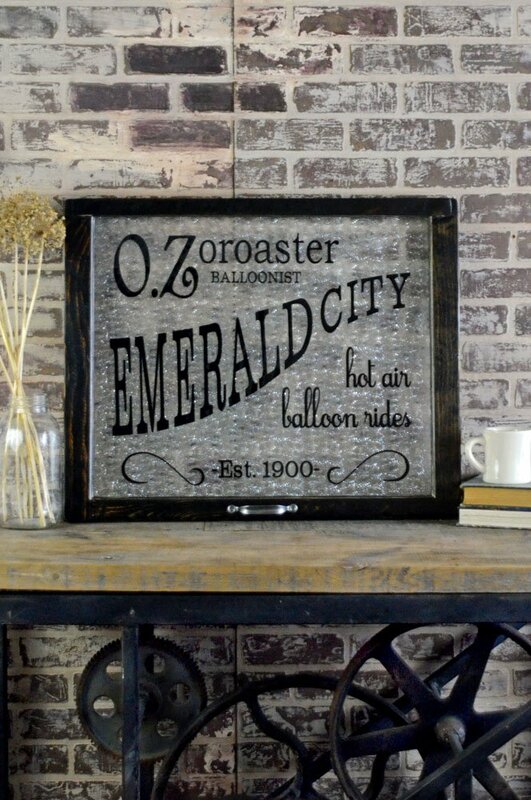 A whimsical gift for lovers of the Wizard of Oz!